What is the Best Android TV Box USB Camera? As android TV boxes become more-and-more common in homes as a media center, some would also like to use it with a USB camera. So Can a Android TV Box Work With a USB Camera? The answer is yes it can, provided the camera is compatible with android. Like all electronic devices a USB camera needs the drivers installed on the operating system to work. Luckily android TV comes with some drivers installed and ready to work with certain cameras. There is no list of compatible cameras and manufactures often don’t list whether they are compatible or not, so its a bit of a hit or miss if a camera will work. 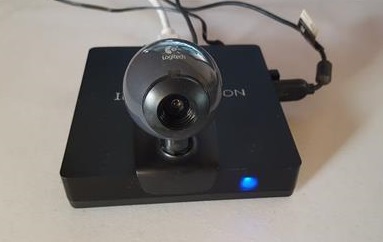 If you have a old USB Webcam laying around it will not hurt anything to try it out and see if it works with the many video camera apps available. Below is the USB camera I have found that work with android TV boxes. So far it has been mainly Logitech cameras that work. If you find camera that works well for you let us know in the comments below. The Logitech HD Pro Webcam C920 has worked well with many android devices including TV boxes and smartphones. It is listed as working with Android 5.0 or above. There are YouTube videos showing the C920 in action with a Shield and android smartphones, so it is safe to say it will work. Smartphones and tablets must use an OTG adapter cable. It streams video at 720p HD and has a built-in mic. So far I can only recommend the Logitech HD Pro C920 since it has been shown to have wide android compatibility. With that said I did plug in a old Logitech C200 Webcam and it also works, but since it is so old the resolution was very bad. The Logitech C200 is a very old unit and only works at a 640 X 480 resolution, hardly the resolution needed today. Android TV comes with built-in drivers that support certain USB web cams so If you have an old USB camera than definitely give it a shot as it might work. If you do find a USB Cam that works for you and your android TV box let us know in the comments. It would appear the issue is with the OS if the box. If your box is pure android is most will work. If it is android TV OS this is where the issue lies. Funnily enough my webcam that worked in 5.1 won’t work on 6.1 after flashing the OS. Bloody nightmare. Hi Could any one suggest a really good Android box for TV available in India that’s best for the buck ? Major requirement is to use video calling app. When plug the camera work fine but the mic no work. T have tried with skype o cisco webex meeting, the video work but the mic is not working. Any idea for the problem?? I have a h96 pro plus and use the logitech webcam and have to use a usb audio device with microphone support to get audio from a external mic. Hi, I’m using a x96 mini tv box, connected the logitech c270 webcam. I’m use app called Zoom, it’s for video conferencing, webcam connects good & gives video but there is no sound, checked all sound setups/settings. Hey! I’m literally using the exact same setup! x96, Logitech c270, Zoom – and no sound – well in particular, no microphone. Did you ever solve this??? Would love to get sound working. You can use the IMO app, I’ve tried to run well. I use c920, the quailty is good but it sometimes hangs my android 6.0 system when using skype/google hangout. I replaced it with c930e, same symptioms. The other issue is sound quality, i barely hear it at 2-3 meters distance. not worth the money. I really want to find a good android tv box but still can not find it in the market. why ? Logitech B910 HD works well with latest firmware update from Logitech. Getting loads of FPS settings for up to 720p video and more than 1080p Picture settings. All the above is simply plug and play after update 2.0.1. Do you know if the 930e works as well? Hi guys, interested to know what software is used to do the video calling with? I’m assuming Google Hangouts? Is there an app or is it used within a browser? I too have found that my android box is only compatible with certain USB webcams. 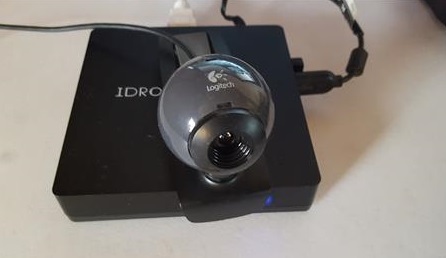 I have heard that Logitech cameras work the best for the box, but I have discovered that my Microsoft USB webcam also works on my android box. I have about 4 or 5 USB webcams and so far my Microsoft is the oinly one to connect properly to my box. Just a helpful hint for those struggling to find a compatible camera mate for their box. Hi Josafina,,,may i know the exact detail of Microsoft camera that you have.